People are easily charmed by a narcissist, especially codependents. Narcissists can be beguiling and charismatic. In fact, one study showed that their likable veneer was only penetrable after seven meetings. I’ve had a number of clients who claimed that the courtship with their narcissistic spouse was wonderful and that abuse only began following the wedding. However, with greater insight, these clients admitted that there were signs that they’d overlooked. The greater the physical attraction and sexual intensity, the easier it is to ignore red flags. Individuals who can see auras maintain that sexual energy literally obfuscates mental and emotional energy―why lust is blind. Narcissists are skilled manipulators. Some can be quite seductive, and not just sexually. 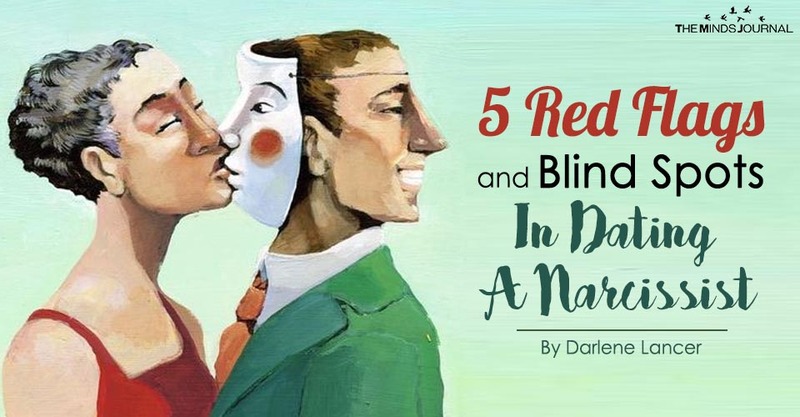 They may be adept listeners and communicators or allure you with, flattery, self-disclosure, and vulnerability―just the opposite of what you might expect from a narcissist. Often narcissists are very accomplished, successful, good-looking, powerful, and/or multi-talented. It’s easy to idealize them and want to share in the benefits of their exceptionalism, especially if you feel inferior. People with low self-esteem, such as codependents, are more likely to idealize someone they admire. They may be drawn to typical narcissistic traits that they themselves lack, such as power and boldness. The downside is that idealization makes us ignore contrary information. If you had a narcissistic parent, being with a narcissist will feel familiar―like family. This attraction happens beneath consciousness and is often referred to as “chemistry.” With personal therapy, this attraction can change so that you easily spot someone who is abusive or self-centered. You might even be repelled instead of attracted to a narcissist. If you have low self-esteem or are codependent, you may be unaware of your feelings, which can guide you. You may not feel entitled to respect and having your needs and wants met. Most codependents tend to accommodate and people-please other people―a perfect fit for a narcissist. This predisposition is stronger in early dating when you’re trying to make a good impression. Thus, you might overlook or rationalize feelings of discomfort and anxiety that signal trouble. If something does bother you, you won’t speak up about it and try to forget it. Below are some red flags to look out for. Having a few traits doesn’t mean that someone is diagnosable with NPD―a narcissistic personality disorder―but they do not bode well for a fulfilling relationship. One study found that when narcissists knew the symptoms of NPD, they readily admitted being a narcissist when asked. So you can ask, too, provided they know the traits. Need for admiration, lack of empathy, and grandiosity are key. Look for signs of arrogance and entitlement, too. For narcissists, the world revolves around them. Other people are only two-dimensional, meaning that narcissists can’t empathize. They’re in their own reality and see you as an extension of themselves to satisfy their needs and wants. When you talk to your date, is he or she interested in getting to know you, or talk only about themselves? Amazingly, some people do, as if their listener doesn’t exist. This is a tell-tale sign that you will feel invisible in the relationship. If you felt invisible in your family, you might take this for granted. You could possibly feel validated by the attention you give as a good listener. Beware that this pattern will likely continue.